Wall paper out of style and no longer used in construction? Not at all, today’s high end commercial buildings still use many types of wall coverings, typically referred to as “wall paper”. Now, when I picture wall paper, I imagine a very gaudy, thin, narrow, paper like material, with ugly split seams, installed in most kitchens and bathrooms in the 1980’s… And as a child I spent many an hour painstakingly scraping the gooey mess from the walls of our home. That is certainly not the wallcovering I’m speaking of here, most of the wall covering used in high end commercial buildings today is type 2 vinyl wallcovering, typically 54″ wide, and comes on large rolls, or bolts, 30 – 50 yards long. 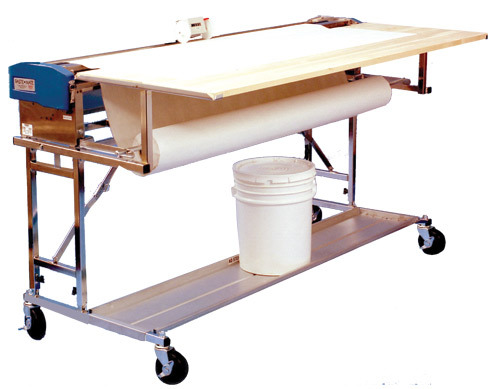 This wallcovering requires a machine to apply the paste. We do a lot of new construction installs, typically bathrooms and meeting rooms in Hotels and office buildings, however the majority of the wallcovering we install today is in older buildings where the original vinyl wall paper has gotten an out of date look. We complete many projects each year where we remove the existing wall vinyl, prep the wall board, and install new 54″ commercial vinyl wallcovering. We typically do this in office buildings and hotels where business as usual takes place while the project is quickly completed. Ever enter a hotel room and catch a faint tent like odor? That odor is rancid microbial growth spreading on the gypsum wall board behind the wall paper! 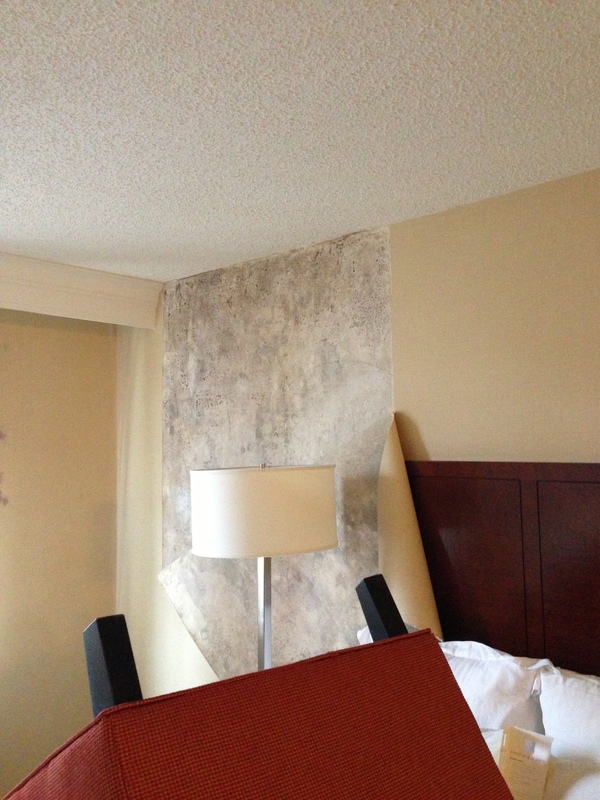 This is one of our specialties, we are experts at removing existing vinyl wall coverings and treating the walls beneath. We have expert crews experienced with treating existing wall board, or in extreme cases, removing the wall board altogether and installing new “mold tough” wall board and then installing new vinyl wall covering. Whether you’re in need of just an updated look or have a serious problem with mildew and mold, we can assist you in the best solution for a brand new look. We also do any type of alteration, from a complete demolition of an office to a simple repair. If you have need of this service, or any other alteration or repair, please contact us for a free consultation. We are a full service remodeling contractor. Anthony & Company Construction, Inc.